I am beyond impressed with The Body Shop's Vitamin C line. So far I have tried the above 4 products and I love them! I have never been as good as I should be at washing my face. I kid you not, since using the Vitamin C Facial Cleansing Polish I can't get enough! My skin feels clean, revitalized and the citrusy smell is DELICIOUS! So great on an early summer morning to get you going for the day. I use the Vitamin C Microdermabrasion once a week to help exfoliate and smooth dull and dry skin. The best part about this product is a tiny bit goes a long way and your face will feel silky smooth! I honestly am not sure if I have ever been more pleased with a moisturizer than I am with this one. The Vitamin C Daily Moisturizer SPF 30 is phenomenal. It absorbs perfectly and is the perfect constancy, not too thin-not too thick. I LOVE it. The Vitamin C Skin Boost leaves my skin feeling ridiculously soft. It's unreal. The Antioxidant Vitamin C brightens skin, improves the elasticity and simultaneously softens and protects your skin. 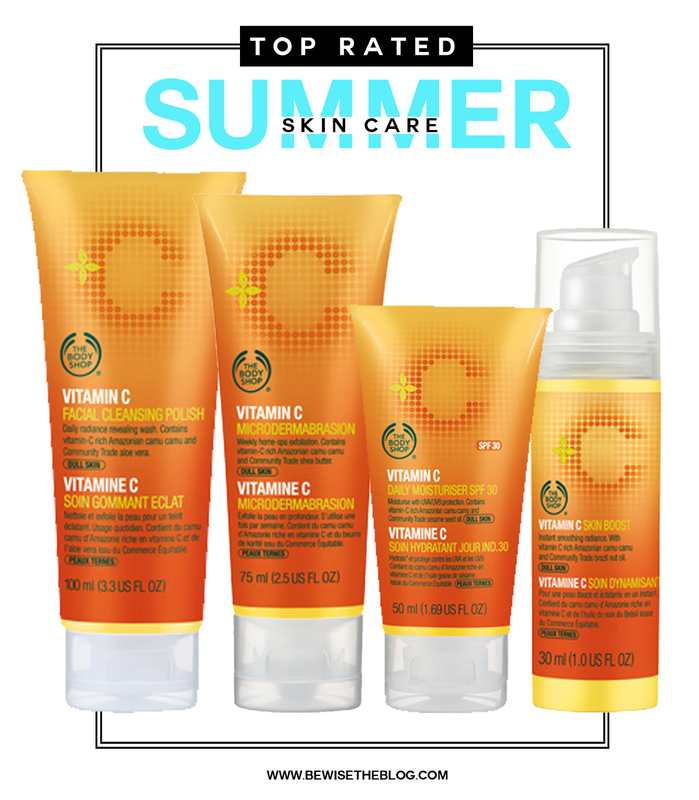 Be sure to check out The Body Shop for these perfect summer products. They are always having great sales too so that is definitely a huge bonus!